So the follow up question in this discussion was whether or not Jesus implies that all Scripture is inerrant. I believe that Jesus does imply that all Scripture is inerrant. Jesus rebukes the Sadducees when they ask the silly question about the resurrection in Matthew 22:23-33. He tells them they are wrong because they do not know the Scriptures. Jesus goes on to remind them of what is written in Exodus 3:6 and does so in the present tense. This is an important point in my opinion but maybe not for the reason that might first come to mind when you read that. Of course God IS present tense but Jesus quoted this passage in present tense also stated that Abraham, Isaac, and Jacob ARE as well…in the present tense. Jesus is affirming not only the verse but is even affirming the present tense of the verb. Jesus does the same thing in the High Priestly Prayer found in John 17 where he says God’s word IS truth. In this way I believe that every jot and tittle is vitally important. That is where the question of reliability of the copies of that Word we have in our possession today comes into play. I am interested in the views of the participants of this discussion on this question. Moving on to the historical reliability of the Scriptures, I suppose we have to decide if we possess what the authors of the four Gospels wrote in the first place. If we do possess what they wrote, do they claim to accurately represent the events they are describing? Even if the first two questions are both true, how do we know that these authors are actually trustworthy sources in the first place? These are the standards other historical documents are subjected to and it seems fair to me to use the same standards. There are more extant copies of the Gospels than any other ancient documents. Of course, there are minor variations in the copies but we can say with confidence that we possess what the authors wrote. The Gospel writers clearly state that they are eyewitnesses (or in the case of Luke conducted a thorough investigation) of the events they describe. Further, we know the writings of the Jewish historian Josephus, Roman historian Tacitus, and a Samaritan writer named Thallus that much of what is contained in the Gospels occurred. Archeological evidence provides additional confirmation of many things contained in the Gospels as well. In fact, a Jewish archeologist has even said there has never been an archeological discovery that has contradicted any of the biblical accounts. Using the standards applied to other historical documents as a guide, I easily conclude that the Gospels are historically reliable. I believe this to be a reasonable conclusion given what we know about the period in question. The Lord has poured our His many blessings on me and my family this year including the readers of my humble blog. The number of visitors who have come to the blog continues to amaze me as does the number of you who choose to take a moment of your time to leave your feedback. For all of you I say and grateful THANK YOU! I pray for traveling mercies for those of you who will be traveling to be with family this Thanksgiving as my family and I are. I also pray that everyone in our great country will remember why we celebrate this wonderful holiday tradition. Originally published in 1981 and now in its third edition, Gordon Fee and Douglas Stuart’s How to Read the Bible for All its Worth asserts that the Bible is meant to be read by everyone and not simply scholars, seminarians, and professional clergy. Rather, the Bible is accessible to scholar and layperson alike who would seek to spend time in the Scriptures and comprehend their meaning. This readable book focuses on understanding the genre a particular part of Scripture is part of as the basis of understanding the intended meaning. The book addresses everything from the need to interpret and good Bible translations to the historicity of the Book of Acts and the multiple views of the Gospels and even the Book of Revelation. As an appendix, a very useful evaluation and use of commentaries is included. Dr. Fee is the author of many books and is Professor Emeritus of New Testament Studies at Regent College in Vancouver, Canada. Fee, who received his Ph.D. from the University of Southern California, comes from a Pentecostal background. Fee is a strong supporter of gender equality in biblical translation and serves on the Board of Reference of Christians for Biblical Equality. Dr. Stuart is currently Professor of Old Testament at Gordon-Conwell Theological Seminary where he has served since 1971. Dr. Stuart attended Yale Divinity School before graduating with the Ph.D. from Harvard University. 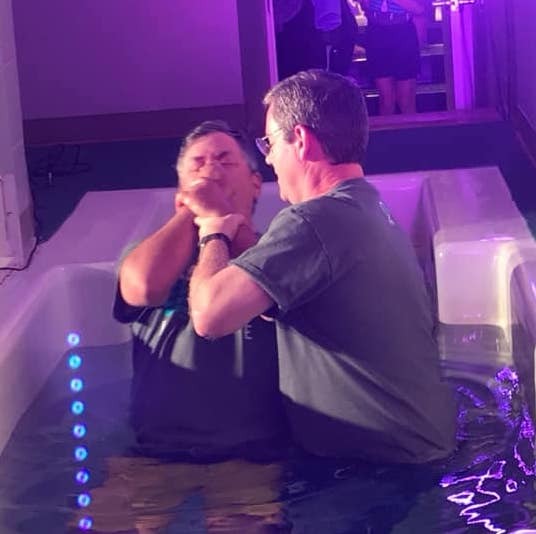 Stuart is also one of two pastors of serving Linebrook Church in Ipswich, MA handling most of the preaching duties. The two men served on the faculty of Gordon-Conwell Theological Seminary together until Fee’s departure for Regent College in 1986. Fee and Stuart begin simply enough by describing the need for biblical interpretation stating that the aim of good interpretation is not uniqueness. Rather, good interpretation should get at the plain meaning of the text. Of course, there is more to this than simply reading the words contained in Scripture. The nature of scripture and the reader as an interpreter both serve to complicate what Fee and Stuart acknowledge should be simple. To consider interpretation simple they state is both naïve and unrealistic. The importance of understanding how the Scriptures were understood by those who originally heard them cannot be overstated. Closely related to this is the literary context of Scripture. The authors rightly state that the starting point of interpretation is exegesis followed by hermeneutics going so far as to state that hermeneutics must be controlled by proper exegesis. Fee and Stuart follow their opening chapter with a lengthy discussion of the importance of a good translation of the Bible from the best available manuscripts. On full display is their enthusiastic endorsement of the use of dynamic equivalence in biblical translation over formal equivalence. The authors firmly state that in situations where something is unclear in the receptor language from the original language, clarity in the receptor language should take priority as this is precisely the point of translating in the first place. Fee and Stuart do state that more than one translation should be used for Bible study and acknowledge value in both formal equivalence and free translations such as The Message in assisting in the basic understanding of Scripture. Having made a sort of affirmative statement concerning other biblical translation methods, the vast majority of the twenty pages in this chapter are seemingly intended to make a strong case for dynamic equivalence in general and for the use of the New International Version (NIV), Today’s New International Version (TNIV), and the New Revised Standard Version (NRSV) specifically. To emphasize the importance of understanding Scripture in context, Fee and Stuart go on to spend most of the book discussing the various literary genres such as the epistles, narratives, poetry, history, prophesy, and even apocalyptic. The emphasis on genre serves the authors and their readers well. For example, to simply read a Pauline epistle without understanding that the letter is conditioned by the first century setting in which it was written can lead the reader to either assume there is nothing relevant to the modern day Christian therein or something much worse, an incorrect understanding of the meaning of many of those passages. Narratives are stories that retell historical events and are meant to provide meaning to people in the present. The authors point out that in the case of biblical narratives, rather than telling a general story, these portions of the Bible are telling God’s story becoming ours as God “writes: us into it. Fee and Stuart are clear in stating that narratives are not to be confused with allegory. Narrative is often told in a way in which the teller of the story and those hearing it share the same presuppositions. Thus the details the narrator may have taken for granted in telling the story are precisely the details interpreters should seek to discover. The job of the interpreter is to read out of the narrative rather than read into it. In the case of biblical poetry, Fee and Stuart remind their readers that Hebrew poetry is intentionally emotive and warn against finding special meaning where none was intended by the authors. The writers of Hebrew poetry also were intentional in their use of metaphors in their writing. As such, it is important to make this distinction and not take the meaning of those metaphors literally. With prophetic writings, Fee and Stuart point out that from the viewpoint of the ancient Israelites, the prophets were pointing to events yet to come but for the modern reader those events have already come to pass. Dr. Fee’s service as the editor of the New International Commentary series and on the NIV review committee is on full display in How to Read the Bible for All its Worth. Considering his work in these areas, there is little surprise in his strong support of dynamic equivalence and the Bible translations that result from this method of translation. While endorsing the TNIV, NIV, and NRSV specifically, Fee and Stuart state that the use of a good formal equivalence translation as a second source for study is useful to give the reader confidence as to what the original Hebrew and Greek looked like. This seems to contradict the assertion concerning the superiority of dynamic equivalence. If Fee and Stuart truly find formal equivalence translations useful, their support should be more evident than a passing sentence or two. This also begs the question: why would someone employing a dynamic equivalence translation such as those preferred by the authors need to be reassured as to what the original Hebrew and Greek looked like? The authors’ discussion of the Apostle Paul’s use of Old Testament passages metaphorically in 1 Corinthians 10:4 revealing a second meaning of Exodus 17:1-7 and Numbers 20:1-13 labors to stop short of bemoaning Paul’s use of passages in a way other than the plain meaning they find abundantly clear in the original contexts. It is as if Fee and Stuart are forced to concede that the Holy Spirit may use Scripture in any manner which He might see fit disregarding the rules of men. While acknowledging, albeit begrudgingly, the existence of this sensus plenior, Fee and Stuart then go to great lengths to explain that while the Holy Spirit may use Scripture in this manner, it is inappropriate for men to do the same. It would seem interpreting the Old Testament with the New Testament in mind is something Fee and Stuart are quite uncomfortable with. It would also seem that Fee and Stuart would prefer to use textual criticism to explain away part of the biblical text with which they find fault yet are unable to do so. 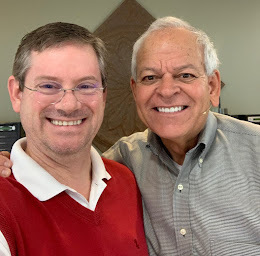 Fee and Stuart are certainly well qualified to present a guide to biblical interpretation. Now in its third edition, How to Read the Bible for All its Worth is beneficial to the readers who seek to deepen their understanding of biblical hermeneutics. The approach taken by Fee and Stuart is both thorough and comprehensive; so much so that this is not a book for one new to biblical hermeneutics. Fee and Stuart seemingly approach their work with the assumption that the reader has had some experience with biblical interpretation. Given the audience that may acquire such a book, this is not surprising and should in no way be a negative reflection upon the authors. How to Read the Bible for All its Worth is profitable for study by men and women of all denominational and theological backgrounds. That said caveat emptor! The reader should understand the theological leanings of the authors before determining whether or not to use their book. 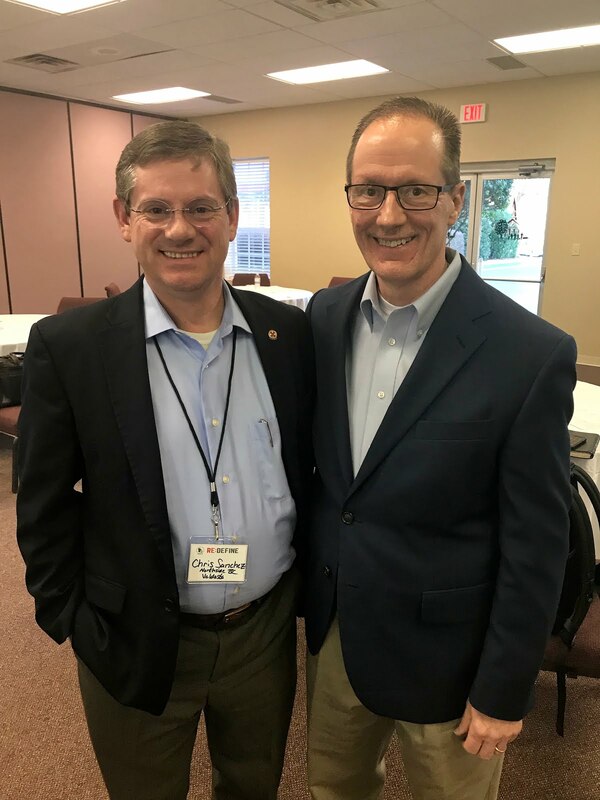 Dr. Fee and Dr. Stuart approach their work from a more liberal point of view than certainly this seminarian is accustomed to. Still, understanding differing approaches to hermeneutics is a good thing both for the student and cause for Christ. Fee, Gordon D. Gordon Fee. 2011. http://www.gordonfeeonline.com (accessed November 11, 2011). Christians for Biblical Equality International. CBE International Leadership. 2011. http://www.cbeinternational.org/?q=content/leadership#board-of-reference (accessed November 10, 2011). 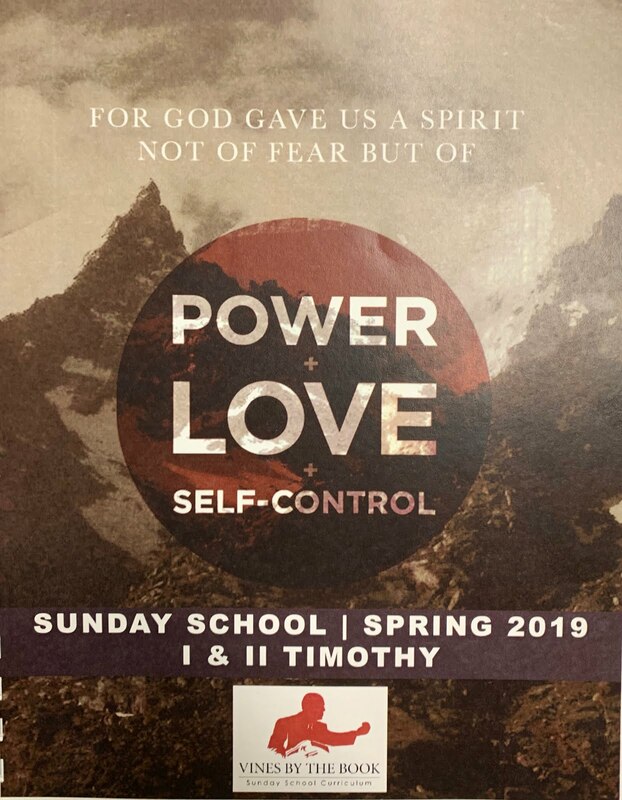 Faculty, Gordon-Conwell Theological Seminary -. Gordon-Conwell Theological Seminary. 2011. http://www.gordonconwell.edu/academics/view-faculty-member.cfm?faculty_id=15891&grp_id=8946 (accessed November 9, 2011). Church, Linebrook. Linebrook Church About. 2011. http://www.linebrook.org/about/ (accessed November 12, 2011). Fee, Gordon D., and Douglas Stuart. 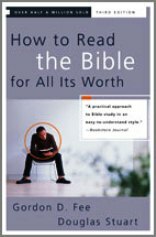 How to Read the Bible for All Its Worth, 3rd Ed. (Grand Rapids, MI: Zondervan, 1981, 1993, 2003), 18. The Anabaptists came to be in the earliest days of the German Reformation. The German Reformation was essentially a revolt of the laity against the Roman Catholic Church and the sacramentalism and sacerdotalism it represented. Martin Luther may have started the Reformation through his break with Rome but the popular appeal of the Reformation was in the destruction of the old order. Between the destruction of the old order and the rise of the new churches that would later come to prominence across Europe, Anabaptism arose. It is Erasmus to which Anabaptism owes much in terms of theology, especially in the area of sola scriptura. Where Luther argued that the Roman Catholic Church was flawed in their interpretation of Scripture and their belief in the Pope’s ability to actually change the commands of Christ and the Catholics responded in kind, Erasmus asked a different question. How did the most knowledgeable followers of Jesus Christ, the disciples, understand the Great Commission? The quest to answer this seemingly simply question lead Erasmus to an even greater emphasis on sola scriptura than even Martin Luther. This resulted in a very different interpretation of much of Scripture and would put the Anabaptists on a far different trajectory than the Reformers. Under the leadership of Balthasar Hubmaier and with the Lichtenstein barons tolerating them, Moravia became perhaps the most influential center of Anabaptist activity in all of Europe. People from across Europe moved into the region as persecution came to country after country. With the arrest and execution of Hubmaier, there were few voiced left to defend the Anabaptist position. One such voice that filled the void left by the demise of Hubmaier was that of Jacob Wiedemann who followed the eschatological teaching of Hans Hut. More interesting is the fact that Wiedemann subscribed to the nonresistant teachings of the Swiss Brethren. It is to this theological background that the doctrine of the community of goods, or economic sharing, is added by Wiedemann. Coupled with sola scriptura, economic sharing would soon overshadow all other doctrines and would come to be the single thing that was the mark of the true church. The doctrine of economic sharing introduced by Wiedemann was later clarified by Felix Mantz teaching that Anabaptists should practice love, unity, community of all things as the apostles in Acts 2 did. Erasmus, who actually sought to reform the Roman Catholic Church, regarded the reformation lost when it went from the careful hands of biblical scholars to quarrelsome and reckless theologians. Oddly though, Erasmus simultaneously complained that the world in which he lived had grown alien to the world of Christ while also lamenting that the Anabaptists for being too rigid in their desire to return the world to that very state. When Pilgram Marpeck arrives on the scene in Moravia shortly after his conversion, he is commissioned and sent to Strasbourg . It is there where he develops a variation of economic sharing that is essentially a sort of mutual aid. Marpeck taught that Christians could control their possessions but must regard them as belonging to God and the needy rather than themselves. Another characteristic of Marpeck’s teaching is the taking of voluntary offerings at every service as an expression of compassion. Menno Simons and his Mennonites also practice a form of mutual aid though they did not speak of it often due to past abuses of the economic sharing model. This is not to say that the community of goods approach to living was an immediate success. In fact, there were issues with this approach to living with their fellow believers as the abuses of power by Mennonites in South Russia indicate. In the eighteenth and nineteenth centuries there arose a class system of Mennonite estates in southern Russia. The owners of these large estates were about three percent of the Mennonite population yet they controlled thirty percent of the land owned by Mennonites. They also employed nearly on quarter of the Mennonite population. These estate owners aligned themselves with the Russian nobility and became part of the oppressive land ownership system of Russia. It would seem that economic sharing had failed these Mennonites. All Anabaptists believed that Christian love called them to provide assistance to the needy and at least some sharing of possessions. This sharing was far more than a utopian ideal. Rather, it was quite practical for relatively poor, persecuted people. In the South Germany-Austria area, Anabaptists treated the pooling of resources as the appropriate outer expression of unity with Christ. In contrast, early Swiss Anabaptists often practiced full economic sharing though it was common for families to remain in their lands and homes. For the Swiss Brethren, Pilgramites, and Mennonites, economic sharing evolved into mutual aid. For modern Anabaptists, the vast economic inequality and poverty that can be seen in the world today cannot be ignored. Within their own churches there is a sharing of wealth to be sure but there is also a crossing of economic lines to impart a message about material goods in our lives. Globalization has increased the wealth of some at the expense of others making economic issues more pressing in church life and in mission. Churches around the world are recognizing this and addressing poverty in a number of ways. In recent years, Latin American Roman Catholics are advancing a liberation theology that claims churches should demonstrate a bias towards the poor. While certainly a noble endeavor, it is clear that such theology has been influenced by a Marxist view of history. However, it is a mistake to dismiss this view as baptized Marxism. To do so is to forget the struggles of the poor among the Anabaptists centuries ago and their own struggles to gain a voice. Redekop, Benjamin W., and Calvin W. Redekop, ed. Power, Authority, and the Anabaptist Tradition. (Baltimore, MD: The Johns Hopkins University Press, 2001), 50. Friesen, Abraham. Erasmus, the Anabaptists, and the Great Commission. (Grand Rapids: Eerdmans Publishing Co., 1998), 13. Estep, William R. The Anabaptist Story: An Introduction to Sixteenth-Century Anabaptism. (Grand Rapids: Eerdmans Publishing Co., 1975, 1996)127. Redekop, Benjamin W., and Calvin W. Redekop, ed. Power, Authority, and the Anabaptist Tradition. (Baltimore, MD: The Johns Hopkins University Press, 2001), 52-53. Friesen, Abraham. Erasmus, the Anabaptists, and the Great Commission. (Grand Rapids: Eerdmans Publishing Co., 1998), 28. Finger, Thomas N. A Contemporary Anabaptist Theology: Biblical, Historical, Constructive. (Downers Grove, IL: InterVarsity Press, 2004), 239. Redekop, Benjamin W., and Calvin W. Redekop, ed. Power, Authority, and the Anabaptist Tradition. (Baltimore, MD: The Johns Hopkins University Press, 2001), 99. Finger, Thomas N. A Contemporary Anabaptist Theology: Biblical, Historical, Constructive. (Downers Grove, IL: InterVarsity Press, 2004), 242. As with baptism, virtually the all Christian churches have some observance of Communion or the Lord’s Supper. The Greek word κοινωνία, transliterated koinonia, meaning communion is the term used by the Apostle Paul to describe the Lord’s Supper. It is from this usage that many churches have come to use the term to refer to their own celebration of Jesus’ final meal with His disciples. The idea being expressed is fellowship with God (Gen. 18:17-33; Ex. 33:9-11; Num. 12:7-8), fellowship between Christ and His people (John 14:23), and with believers with one another (Eph. 4:1-6). There are many points of agreement concerning the Lord’s Supper. Among these points is that the Communion was established by Christ Himself on the night of his betrayal, the necessity of repeating the rite, it is a form of proclamation, there is a spiritual benefit to the person partaking, it is restricted to the followers of Christ, and there is a horizontal dimension to Communion. As expected, there are a number of points of disagreement as well including how Christ is present in the Communion. It is these disagreements that separate the Anabaptists from the Reformers and the Roman Catholic Church. There are three basic views of how Christ is present in the Communion maintained by various groups of Christians. The first view is that held by the Roman Catholic Church called transubstantiation. According to this teaching, the bread and wine become the body and blood of Christ at the moment the priest “this is my body” during the mass. This consecration is considered a new offering of Christ’s sacrifice and by a partaking of the bread and the wine the communicant receives saving grace from God. Interestingly, the Roman Catholic Church refers to Communion as the Eucharist, a name that does not appear in the New Testament. The earliest evidence of this name is from secular writings such as the Didache, Ignatius of Antioch’s Epistle to the Philadelphians, and in Justin Martyr’s Apologiae. The second view, advanced by Martin Luther, is called consubstantiation. Luther rejected the Catholic view of the Lord’s Supper yet continued to believe that the phrase “this is my body” required some sort of literal interpretation. Rather than the bread and wine becoming the body and blood of Christ respectively, Luther taught that the body and blood of Christ are present “in, with, and under” the bread and wine. Luther rejected the notion of the Mass being a new sacrifice instead adhering to the belief that Christ’s sacrifice on the cross and justification by faith in Christ’s one-time sacrifice eliminated the need for repeated sacrifices. Luther also rejected sacerdotalism stating clearly that the actions of the priest do not result in the presence of Christ’s body and blood. Though Luther did believe that a properly ordained minister should administer the sacrament, the presence of the body and blood of Christ is never to be attributed to the presence of the priest of his actions during the rite. The third view of how Christ is present in Communion or the Lord’s Supper is belief in a symbolic and spiritual presence of Christ. The Anabaptists, as well as most of the rest of Protestantism, hold to this view of Communion. Essentially, Communion is a rite instituted by Christ in which bread is broken and the fruit of the vine is poured out in remembrance of the atoning sacrifice made on the cross. Though Anabaptists had a strong disagreement with Zwingli over paedobaptism, they affirmed his view of Communion and the fact that Jesus’ body ascended into Heaven and therefore cannot be in or transformed into bread. Where the Roman Catholic Church and Luther insisted on the literal presence of Jesus Christ in the Eucharist or Communion, the Anabaptists are aligned with the views of Zwingli. For the Anabaptist, the notion that the bread and the wine are the literal body and blood of Christ is to deny the incarnation. At the last supper when Christ stated “this is my body” and “this is my blood” he was making such statements in a literal sense. To do so would be to say that he was in two places simultaneously. While the Anabaptists would wholeheartedly agree that Christ is quite capable of such a metaphysic, this would have been contrary to the incarnation which limited His physical human nature to a single location. Anabaptists would certainly argue that Christ was not in more than one place during the incarnation, they also question how two different substances can be in the same space simultaneously. The Anabaptist mind has difficulty understanding how the bread and the body occupying the place at the same time or how a particular substance such as blood can exist without exhibiting any of its normal characteristics. These difficulties, though not enough in and of themselves to determine interpretation, point to a symbolic rather than literal understanding of Christ’s words in the Upper Room at the Last Supper. Anabaptists believe that the spirit of Christ is present in a special way during the Lord’s Supper. Anabaptist as diverse as Hubmaier, Marpeck, and Hoffman regarded the Supper primarily as an action whose symbols were the breaking of bread and sharing the cup with other believers. This view of Communion as a full meal marked by sharing is certainly interesting from an exegetical standpoint. If one views the words of Christ during the last supper, He says “this” four times. Perhaps When Christ says “this is my body” and “this is my blood” he refers to the action of the breaking of bread and the action of sharing the cup. Finger states that it is possible that Christ was not referring to things but rather the activity of giving oneself freely in service to other believers. Such a view is consistent with the early setting of the Supper being marked as a full meal in which Christ’s presence is experienced throughout and not merely during the serving of two foods. If the Supper is an action then the elements are a means to a very special self-impartation. There is spiritual grace through the visible channel that is Communion and it is in this sense that the elements are not merely bread and wine but rather they become what they do. Brand, Chad, Charles Draper, and Archie England et al. Holman Illustrated Bible Dictionary. (Nashville, TN: Holman Bible Publishers, 2003), 324. Easton, M. G. Easton's Bible Dictionary. (Oak Harbor, WA: Logos Research Systems, Inc., 1996). Erickson, Millard J. Christian Theology 2nd Edition. (Grand Rapids: Baker Academic, 1998), 1116-21. González, Justo L. The Story of Christianity Vol 2: The Reformation to the Present Day. (New York: HarperCollins Publishers, 1985), 54-56. Grudem, Wayne. Systematic Theology: An Introduction to Biblical Doctrine. (Grand Rapids: Zondervan, 1994), 991-92. Strong, Augustus Hopkins. Systematic Theology. (Bellingham, WA: Logos Research Systems, Inc., 2004), 965. Myers, Allen C. The Eerdmans Bible Dictionary. (Grand Rapids, MI: Eerdmans, 1987), 356. Elwell, Walter A., ed. Evangelical Dictionary of Theology 2nd Edition. (Grand Rapids: Baker Academic, 2001), 708. Finger, Thomas N. A Contemporary Anabaptist Theology: Biblical, Historical, Constructive. (Downers Grove, IL: InterVarsity Press, 2004), 186. Erickson, Millard J. Christian Theology 2nd Edition. (Grand Rapids: Baker Academic, 1998), 1128. Finger, Thomas N. A Contemporary Anabaptist Theology: Biblical, Historical, Constructive. (Downers Grove, IL: InterVarsity Press, 2004), 205.